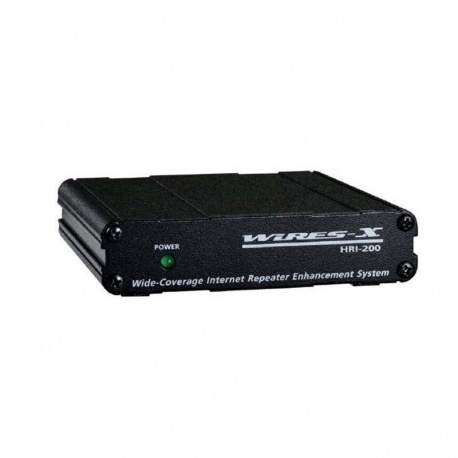 The HRI-200 module for C4FM and Yaesu Fusion system connects to the Internet a transceiver as FTM-400 or DR-1XE repeater enable WIRES-X service. The connection between the HRI-200 and the computer is done with the supplied USB cable, no external power required, router configuration by UPnP, control upt o of 2 transceivers on 4 frequencies simultaneously. Can be used with conventionnal analog Yaesu equipment, only in FM mode and controlled via DTMF. Comes with: Module HRI-200 interface, Mini-DIN cable 10 pin (CT-174), Mini-DIN cable 6-pin (CT-175), WIRES-X software CD, manual (in English), 2 year warranty. Description: The HRI-200 module for C4FM and Yaesu Fusion system connects to the Internet a transceiver as FTM-400 or DR-1XE repeater enable WIRES-X service. The connection between the HRI-200 and the computer is done with the supplied USB cable, no external power required, router configuration by UPnP, control upt o of 2 transceivers on 4 frequencies simultaneously. Can be used with conventionnal analog Yaesu equipment, only in FM mode and controlled via DTMF. Comes with: Module HRI-200 interface, Mini-DIN cable 10 pin (CT-174), Mini-DIN cable 6-pin (CT-175), WIRES-X software CD, manual (in English), 2 year warranty.